Head-to-head. 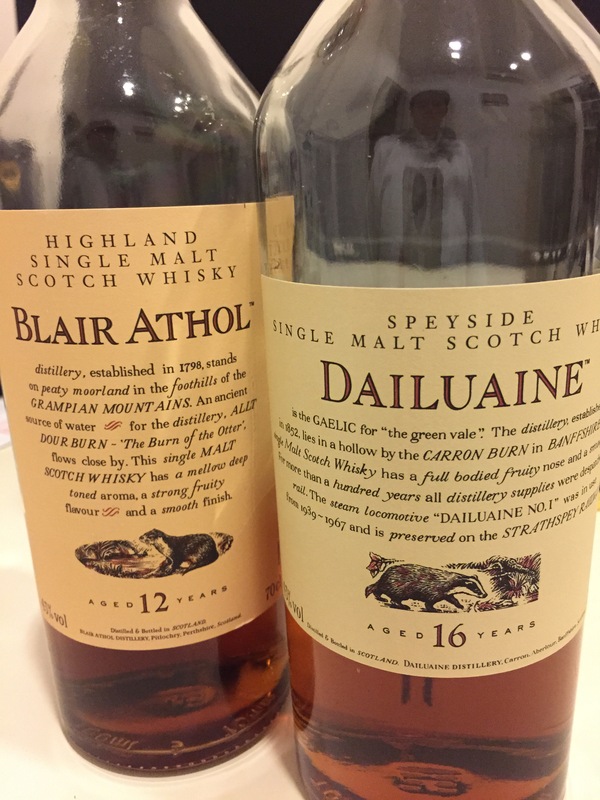 Blair Athol Flora & Fauna 12 years vs Dailuaine Flora & Fauna 16 years. It is said you learn a lot more comparing 2 whiskies than having just one at a time, perhaps this is true, and if so I should do this more often! But head to heads require a theme, and it seems to me that the theme should be something the whiskies have in common, rather than just being part of the same range, otherwise… aren’t they just different. In this line up the whiskies are both from Diageo’s semi-official Flora & Fauna range, but both are also allegedly sherry ‘matured’, whether it was full maturation or a finish is unsaid. In one corner we have a Blair Athol, a Highlander that’s actually far south of Speyside and can be stylistically close to Speyside; and a Dailuaine, situated right next to the River Spey in the heart of Speyside, and is known to be make a heavy beefy malt . You don’t hear much from either as they are used primarily for blending, though the 2015 Special Releases this year includes a 34 yo Dailuaine. Did I mention these simple yet beautiful labels? And why is this range called the Flora & Fauna range? Because each distillery label features an animal or plant that is closely associated to it. Blair Athol’s is an otter, and Dailuaine’s is a badger – rather fittingly, for the badger is a ferocious creature. Nose: Ok quite a bit of sherry but it’s rather the sweeter, lighter jammy marmalade kind of sherry. Suspect this is only finished in sherry. Very ‘cooked’ – oranges in syrup boiling in a pot, caramelized honey glazed ham, baked confections and a big oily cooked maltiness. There’s also quite some oak. And it’s also a rather big whisky.The spirit needs no reassurance due to its bright exuberence, and does approach something close to feints. Palate: Spirit first here. Clean white spiciness and again touch of feints with lots of malt quite youthful and tad unruly. Then the sweetness rolls in ,orange juice, oak tannins lots of it, am I chewing on a pencil. Clearly needs more age. It’s too young at 12 but already over tannic? Add in a large dose of generic sweetness and I wonder if this was matured in a cask made of pencils soaked an hour in throwaway sherry. Certainly not a bad whisky but rather far from top shelf. Nose: It’s a big fat spirit with everything we celebrate about Speyside. Its got enough sherry finishing – again feels like finishing – but much more depth than the Blair Athol. Coming through with stewed orange (!) and sweet woody spiciness, pumpkin pie spice mix? And the spirit is robust enough to carry it. We get a substantial maltiness, heavy nuttiness, softly indistinct fruit ripeness. Some complexity here with dusty cocoa shows up at the back as well. Also enough age (16 years) that the wood’s integrated the spirit. To me, this is about the minimum entry threshold for decent sherried Speysider. Palate: Ok starts with a quickly vanishing syrup sweetness, and with it goes the richness. Now it’s dry and not raw but almost savoury, you get something like hot oil, roasted gristle, raw malt and fruit eau de vie. Turns leathery. This is a big boned spirit with huge weight and some savoury flavours I can see why this goes so well in sherry. Finish: Medium, some leather and rancio. A very decent Speysider with some sherry influence. Dailuaine should only be matured in sherry. A big step up from the Blair Athol, and I do not think it is just the fact of 4 more years of maturation. 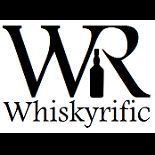 This entry was posted on October 25, 2015 by Whiskyrific in Blair Athol, Dailuaine and tagged Blair Athol, Dailuaine.